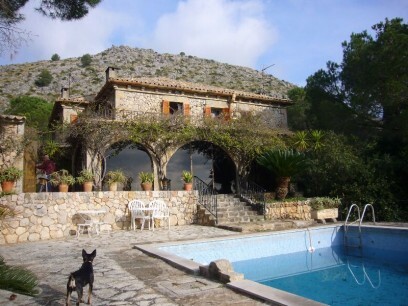 Mansion with a history!, Located close to Puerto Pollenca, you can enjoy panoramic views, and lots of land with particular features such as a little torrente (rainwater floodway with picturesque bridge). The property offers a main house and several other buildings_houses. Very good building quality with lots of character... 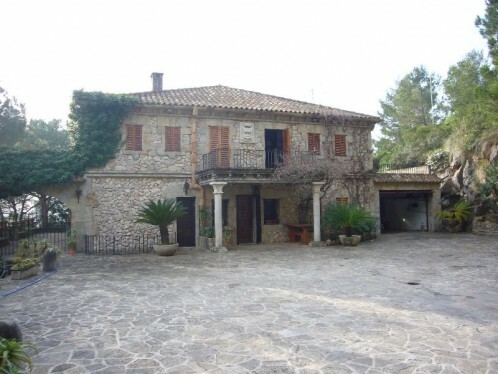 The main house has 6 double bedrooms, 5 full bathrooms, 2 living rooms, private swimming pool, garage and small chapel. Sheltered parking por three cars and a tennis court with floodlight. BBQ house, big eating room with bar and old kitchen, complete with pizza oven and full bathroom. Extra industrial kitchen with barbeque wood oven, storage room and big veranda. Guesthouse, 3 double bedrooms, 2 full bathrooms, living room and kitchen. Staff accomodation: 2 double rooms, 1 full bathroom, living_eating room and kitchen. 400 m2 storage building and 1 bathroom.